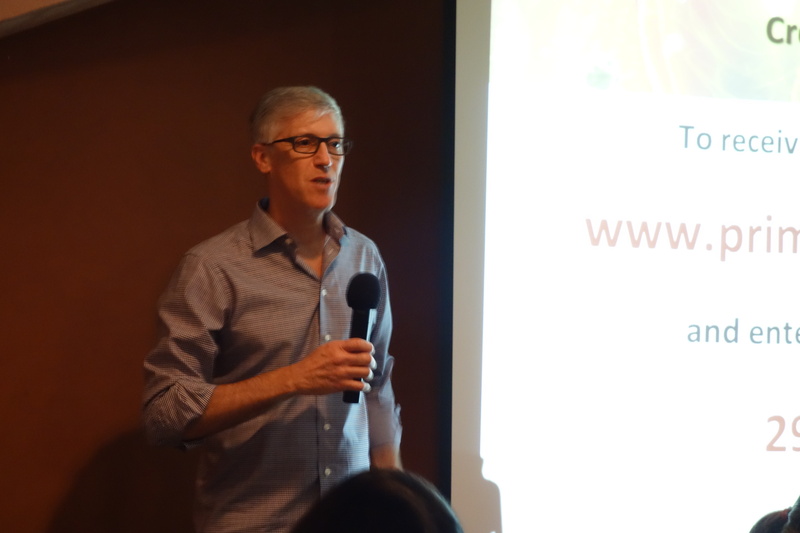 August’s CE program took place at Scarletta Ristorante. The exhibit prior to the CE was sponsored by Sanofi-Aventis US and Regeneron Pharmaceuticals. 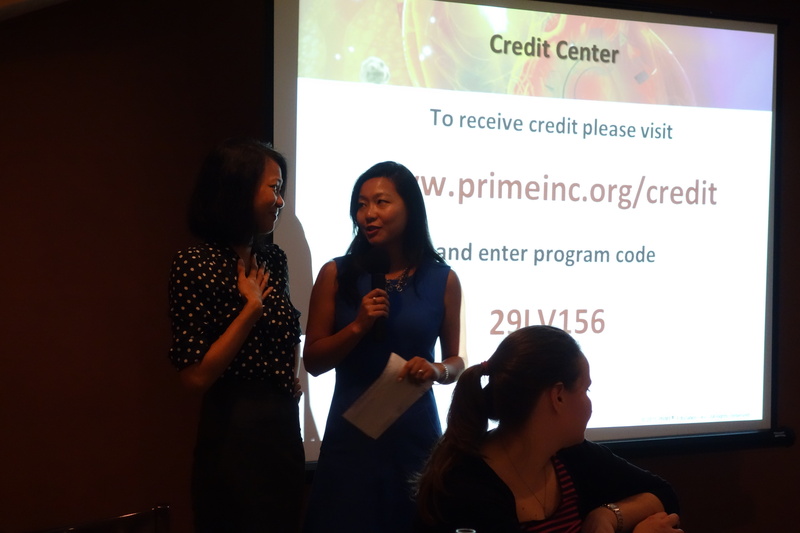 PRIME Education sponsored the CE event through an educational grant. President, Dr. Yi Guo, greeted all of the guests who attended. She announced updates on this summer’s events and announced the upcoming meetings. President Guo introduced NYCSHP’s Board of Directors and opened the program to the evening’s speakers. The clinical pearl presenter was Ezinne Onukogu from Touro College of Pharmacy. She presented on Target Specific Oral Anticoagulant in Cardioversion for Atrial Fibrillation. Her faculty advisor was Shreya Patel, Pharm.D., BCPS. The evening’s CE presenter was Dr. Tran H. Tran, Pharm.D., BCPS. Dr. Tran is an Assistant Clinical Professor at St. John’s University, Clinical Pharmacy Manager, Internal Medicine at New York-Presbyterian Hospital/Columbia University Medical Center. The title of Dr. Tran’s presentation was Shifting Paradigms in Lipid Management. Dr. Tran discussed the current guidelines for cholesterol management and recent recommendations for treatment, goals of therapy, and cardiovascular risk assessment. She shifted what we have known towards emerging agents with novel mechanisms. Such classes included PCSK9 inhibitors, CETP inhibitors, and Lipoprotein Synthase inhibitors. PCSK9 inhibitors include alirocumab, evolocumab, and bococizumab.The ODYSSEY Trial program and ODYSSEY ALTERNATIVE study alirocumab in statin-resistant patients. The PROFICIO, OSLER-1, and OSLER-2 trials studied evolocumab. CETP inhibitors include anacetrapib and evacetrapib. Lipoprotein synthease inhibitors include lomitapide and mipomersin. The evening’s discussion of new therapies to help manage statin resistant dislipidemia was incredibly insightful. There have been clinical trials studying these agents and many currently ongoing trials to discover new data to potential change upcoming guidelines. Dr. Tran’s interesting presentation followed-up with a question an answer session. Director at Large, Dr. Karen Berger, and Director at Large, Dr. Zane Last, spoke about this season’s upcoming NYCSHP flag football team. They encouraged all members with an interest to join on Wednesday evenings at Roosevelt Island. Dr. Yi Guo then presented a gift to Dr. Tran to commemorate her hard work to NYCSHP as well as congratulate her to her new position with Midwestern University, School of Pharmacy. Congratulations to Dr. Tran H. Tran for an amazing CE presentation and to her new position at Midwestern University, School of Pharmacy!